John Haynes may not be a familiar name to many people, but his contributions to the automotive world are larger than life. 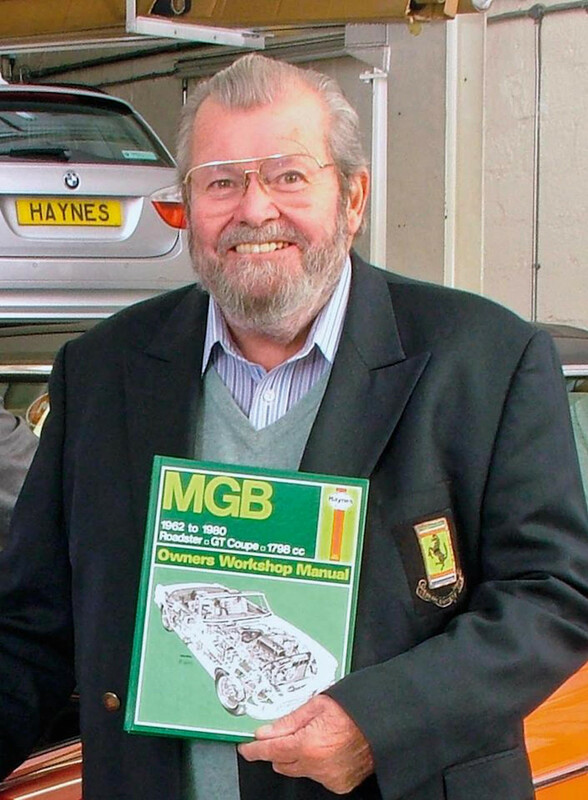 The man responsible for the Haynes Manual has passed away at the age of 80. While serving in the Royal Air Force, a colleague asked Haynes to help repair an Austin-Healey Sprite. He discovered the owner’s manual was in no way written or designed to actually help the owner, so he set out to make his own. He purchased a camera and documented the repair processes, including an entire rebuild of the car’s engine. The step-by-step approach and exploded diagrams would become a hallmark for future Haynes Manuals. In 1966, one year after his colleague enlisted his help, the first Haynes Manual went to presses for the Austin-Healey Sprite. The first run of 3,000 copies sold out in three months. Haynes founded Haynes Publishing in 1960, and the company began trading on the London Stock Exchange in 1979. Haynes Publishing Group has overseen the creation of thousands of Haynes Manuals, including the Chilton Repair Manuals familiar to so many U.S. car owners. To date, more than 200 million copies of various manuals have been sold around the world. Haynes served as Chairman of the publishing group until 2010, when he stepped down to a lesser role as Founder Director. There, in his older age, he still worked with teams to create content and manuals. He is survived by his wife, two sons, daughters-in-law, and grandchildren. Haynes’ wife, Annette, shares his passion for cars and continues to serve as a member of the Board of Trustees for the museum.